Supply and installation of Pol-4 40mm Polair Air Pipe. Tapping saddles were used to tee off the main ring to go to the filter/regulators for the sealed booths. With the clip assemblies it makes it easy to install the pipe away from sight for a tidy workplace. 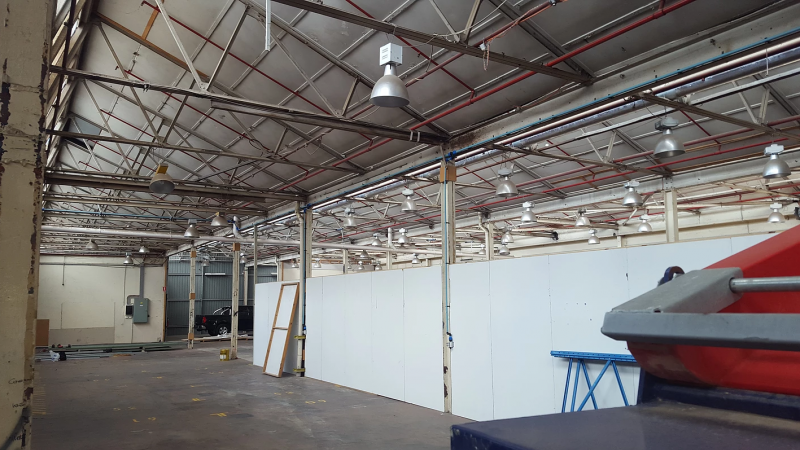 Supply and installation of Pol-3 32mm Polair Air Pipe and Fittings. The ring-main supply was done in Pol-3 32mm Polair Air Pipe with Pol-2 25mm Droppers/Outlets. 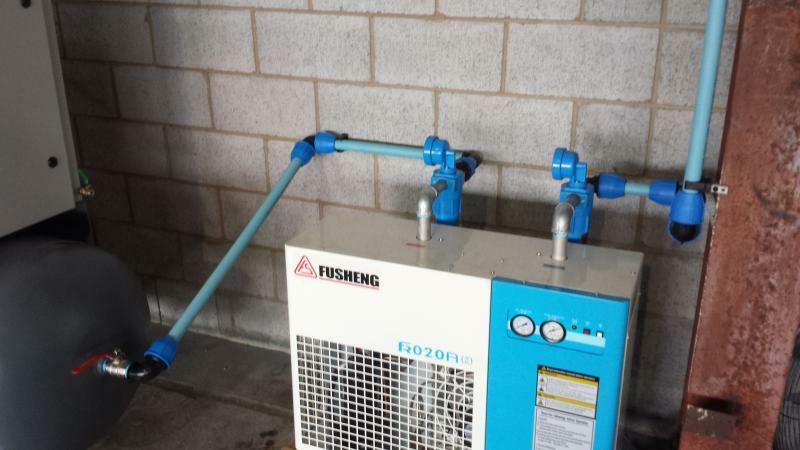 This included plumbing of compressor/receiver/dryer and filter package with the extra of the oil/water separator. Installation of a Pol-7 75mm and Pol-9 90mm Polair Air Pipe System with a Bypass for the filters used (no halt in production when servicing). A mixture of electrofusion and compression fittings were used to complete the job. The filters were mounted to the wall with unistrut solid wall mounts and brackets. Fixing and tidying up of existing lines installed by another company. Supply and install of Pol-4 40mm Polair Air Pipe and further compressed airlines and droppers for the new shed extension. 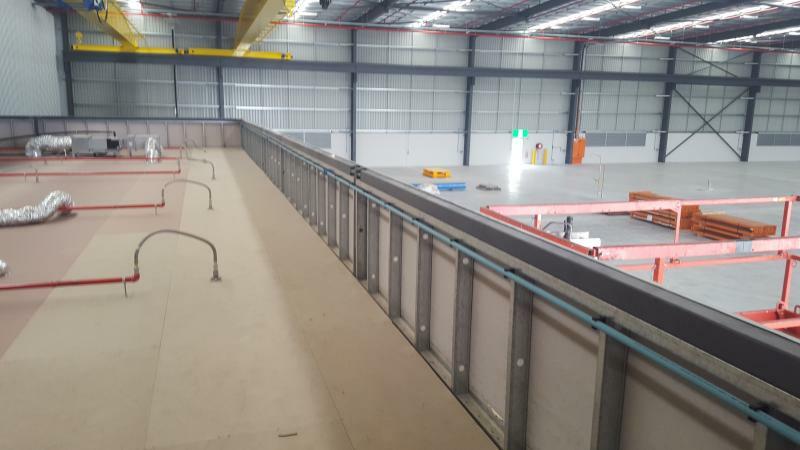 Supply and install of Pol-3 32mm Polair Air Pipe along the tilt slab wall with GF-25 clips fixed with tap-in anchors and along the crane-rail with PC25S purlin clip assemblies. 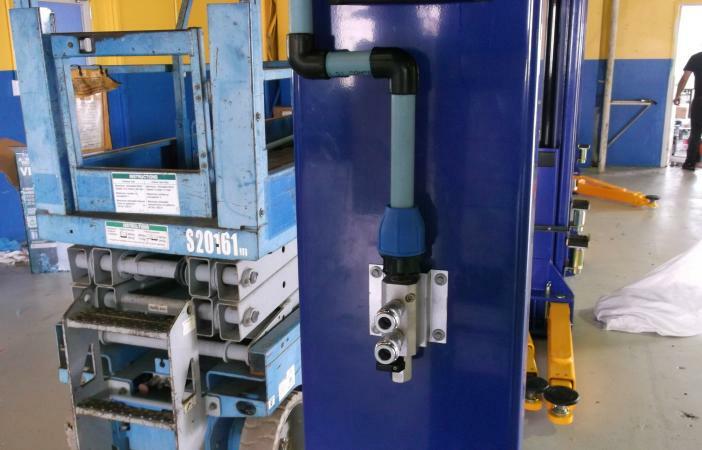 Socket fusion and compresion were used to complete the job and keep it out of the way of the moving electronic and manual crane systems. Droppers are a mixture of WP-2 Manifolds and Genuine Dual Nitto Outlets. 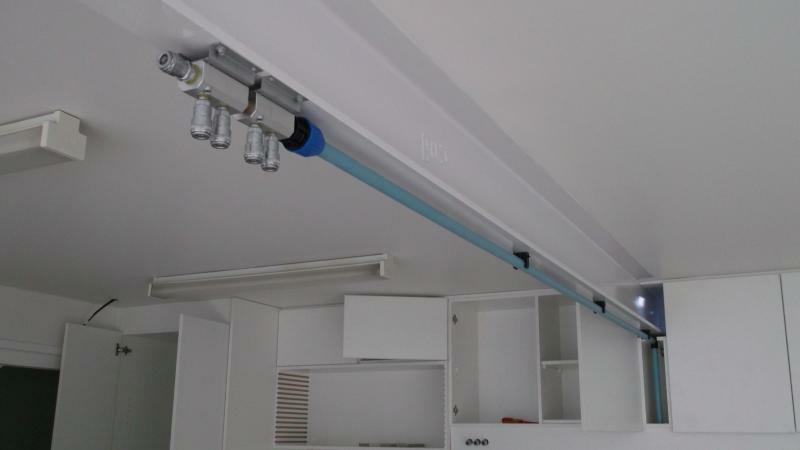 Supply and installation of Pol-5 50mm Polair Air Pipe Ring-Main with Pol-2 25mm Droppers/Outlets. Expansion joints were used on this job due to the length and heat of the factory. Pol-2 25mm pipe ws run down the I-Beam with PC25S purlin clip assemblies and Genuine Dual Nitto manifolds were installed on the inside of the I-Beam. 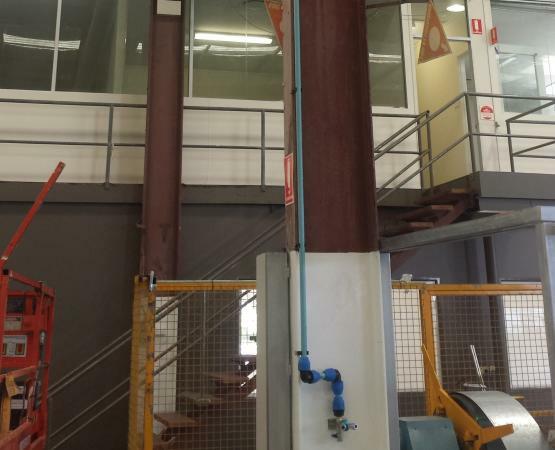 Supply and installation of Pol-4 40mm Polair Air Pipe Ring-Main. A mixture of compression and electrofusion fittings were used to keep the pipe following the other services. All stainless steel and poly fittings and tube were used to be of a food grade standard including isolation valves on each point. Various push fit fittings and tube were used for air actuated valves and solenoids on machines controls and distribution panels. Different levels of micron filters both pre and post-dryer were used to make the air of a food grade quality. 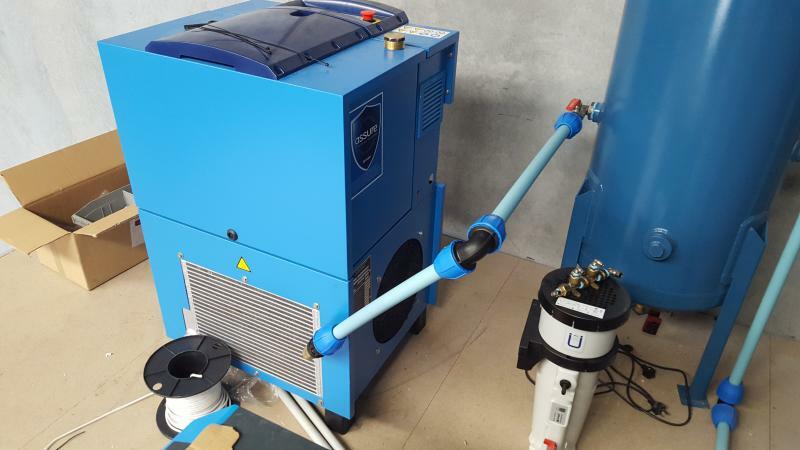 Supply and installation of Compressor/Receiver/Dryer and Filter Package with plumbing of Pol-4 40mm Polair Air Pipe with Pol-2 25mm Droppers. All droppers are with WP-2 Solid Alloy Wall Plate manifolds. 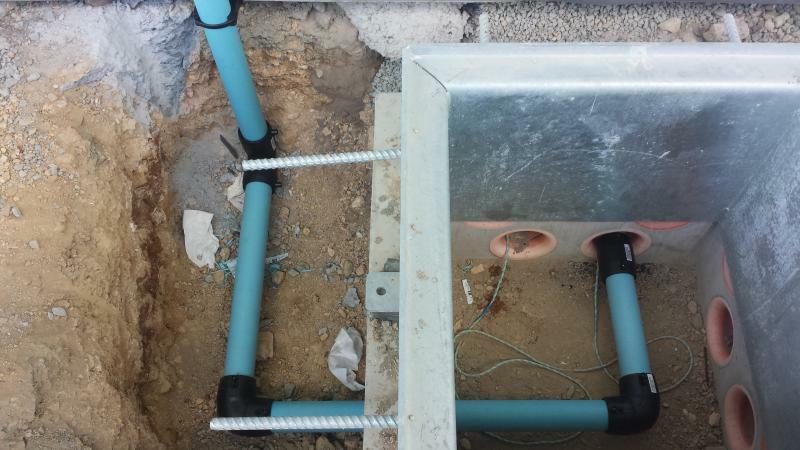 All pipe is fixed to I-Beams and C-Purlins with PC40S and PC25S purlin clip assemblies. 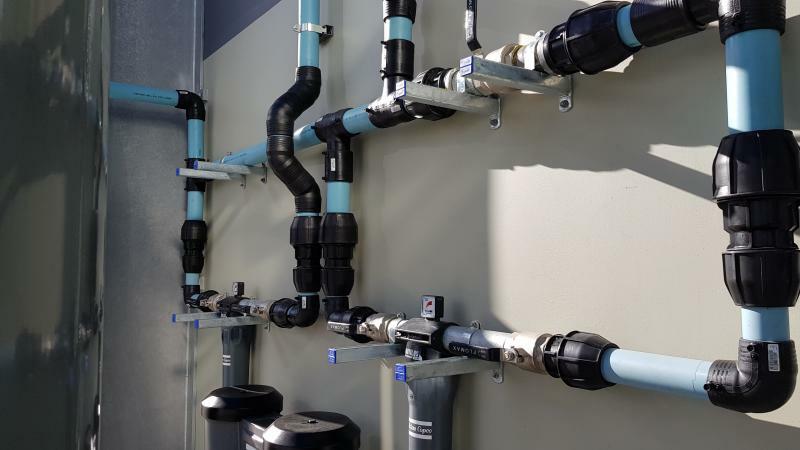 Supply and installation of Retracta 1/2" Hose Reels and Fittings (Australian Made) with 1/2" Super Ultraflex Hose and fittings to allow swivel motion. 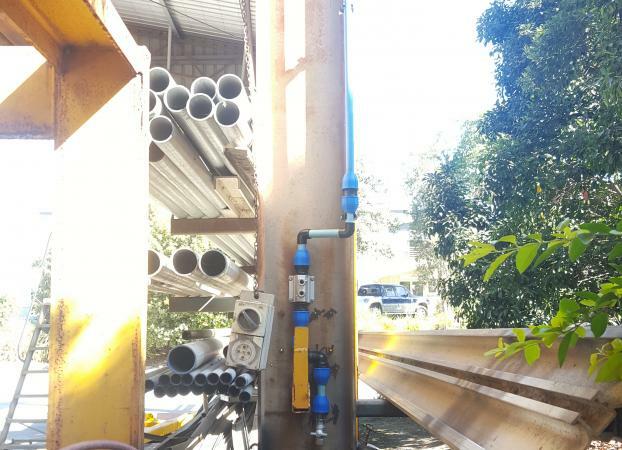 Supply and install of a Pol-3 32mm Polair Air Pipe main supply line with Pol-2 25mm droppers. The main feed was secured to the C-Purlin with PC-32S purlin clip assemblies. A mixture of compression and socket fusion fittings were used for the Pol-2 droppers. WP-2 Solid Wall Plate Assemblies were attached to the side of the 2-Post hoists. A single Genuine Nitto One-Touch fitting was also fixed inside the wall. 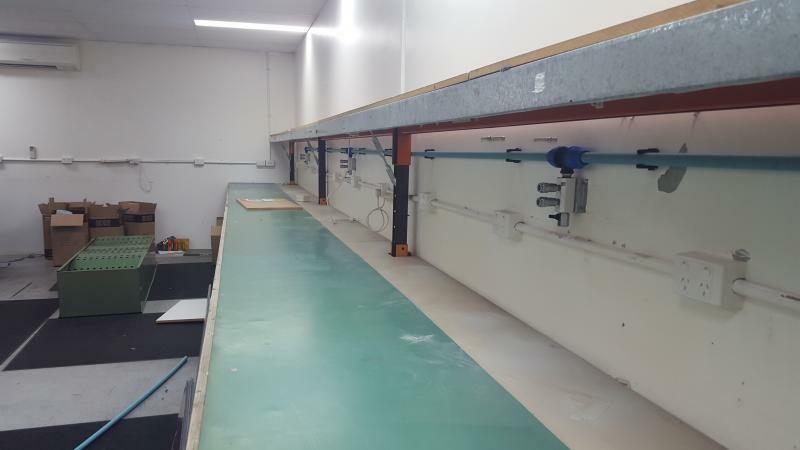 Supply and install of Pol-2 25mm Polair Air Pipe and Philmac fittings. A fun one. Slaughter Motorsport transport this container with them out to the flats for their event and the airlines needed to be out of the way but also easily accessible. 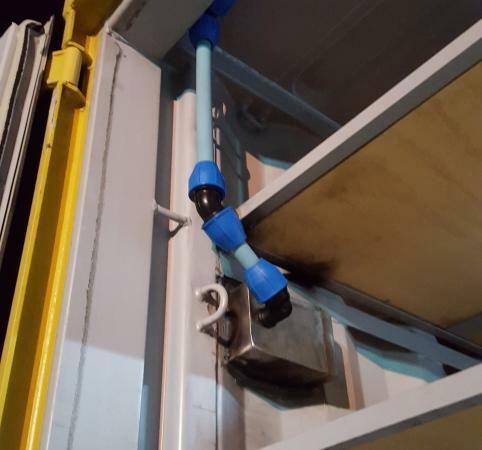 We fitted the container with a Genuine Nitto coupling on the outside for the airline feed and fitted the inside with multiple WP-2 Solid Wall Plate Manifolds. We also fitted out their moveable engine crane framework for the same purpose but with two Genuine RE-Cupla Rotating Manifolds. 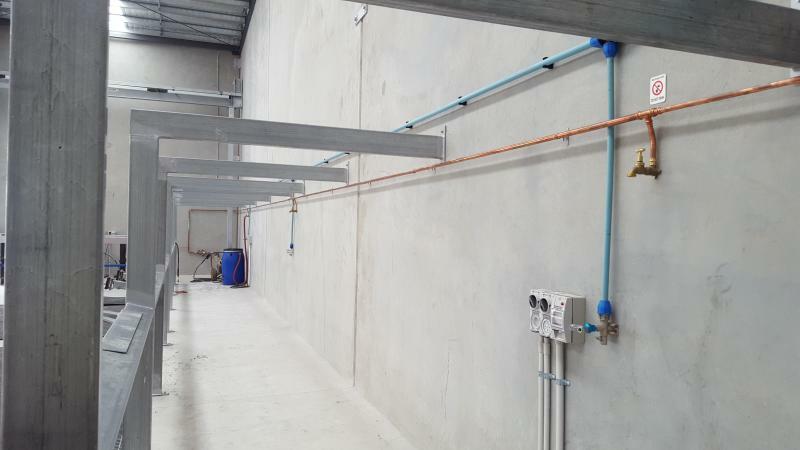 Supply and installation of Pol-6 63mm Polair Pipe and Philmac fittings. 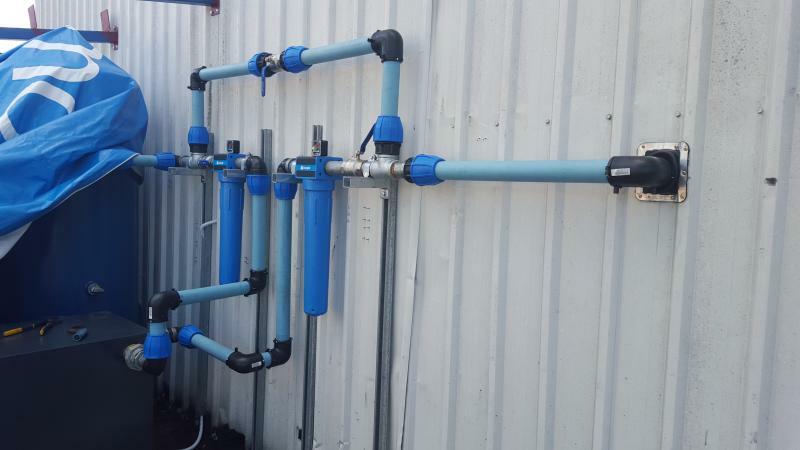 Plumbing of compressor/receiver/dryer and filter package with a bypass system. 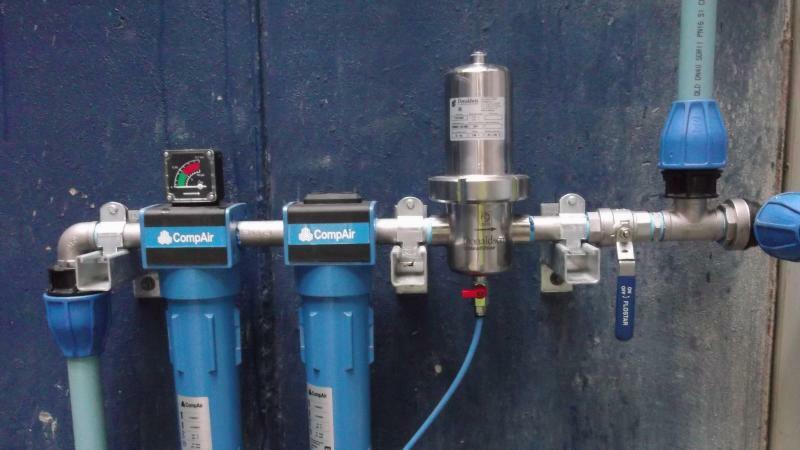 Bypass system allows you to bypass the filters to be able to change them every service period without having to turn the compressor off and halt production. 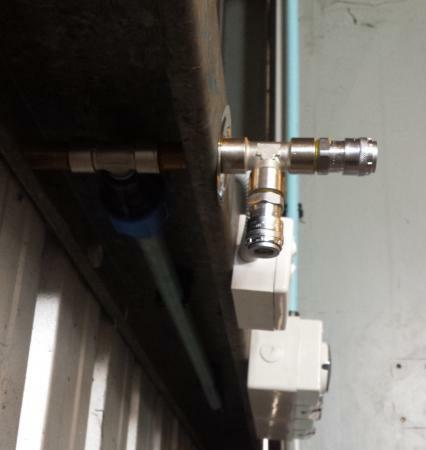 Line was then joined to the existing 63mm galvanized steel line inside with a transition coupler and isolation valve.